The Lincoln Stars will have their hands full this weekend when they face off against two of the hottest teams in the USHL right now. 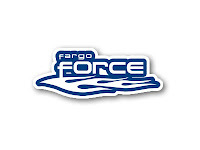 On Friday night at the IceBox, the Stars will host the Fargo Force. On Saturday evening at the Civic Center in Omaha, the Stars will take on the Lancers. Puck drops at 7:05pm on both nights. If you can't make to the games this weekend in Lincoln, you can follow the boxscores online via Pointstreak, listen to Stars radio announcer Mike Melbye on KLMS 1480 AM, or watch the games on FASTHockey for a fee. Lincoln enters this weekend with a record of 20-11-2 (42 points), and are tied for first place in the USHL Western Conference with the Omaha Lancers. Click here to see the current USHL standings. As I stated above, the Fargo Force (16-13-3, 35 points, fourth place in the USHL Western Conference) are one of the hottest teams in the league right now. The Force have won seven games in a row and have propelled themselves into playoff contention in the west. The last time the Force lost a game was way back on 12/28/11. That loss came at Scheels Arena in Fargo, ND at the hands of the Lincoln Stars by a score of 5-3. This will be the sixth time the Stars and Force will meet. The Stars hold a 3-2-0 record against Fargo in their five previous head-to-head games. After their Friday night matchup, these two teams will not face each other again until the very last weekend of the regular season in mid-April. Leading the way for the Force is forward Austin Farley, who is currently riding a seven-game point scoring streak. In fact, Farley has scored 14 points (4g, 10a) in those seven games and is second overall in points scored in the USHL with a total of 44 points (21g, 23a). Only Kevin Roy (52 points) has scored more points this season than Farley. The last time Farley was held without a point was that 5-3 loss to the Stars back on 12/28/11. Farley was -4 in that game as well. On Saturday night, the Stars will look to get the monkey off their back and earn their first win in four attempts against the Omaha Lancers (20-10-2, 42 points, tied for first place in the USHL Western Conference). Omaha has won five games in a row and sport an impressive record of 11-2-0 in their last 13 games. 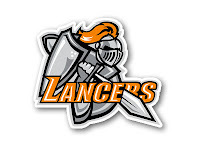 The Lancers have won three in a row against the Stars this season and have outscored Lincoln 18-7 in those three games. This will be the fifth time these two teams will play each other this season. Lincoln is 1-3-0 in those four previous games against the Lancers. It's been strange to watch the Stars struggle against the Omaha Lancers in these past three games. Since the Omaha management fired former head coach Bliss Littler in late November, the Lancers have been playing unbelievable hockey. If not for Littler's firing, the Stars would probably be all alone at the top of the western conference standings. Unlike last season when the Lancers couldn't beat the Stars to save their lives, this season Omaha can't do wrong against Lincoln. Sorry for the short weekend preview but I just ran out of time tonight to get this up. I wish I had more free time to devote to the blog. Too many story ideas, so little time. I hope to see another big crowd this Friday at the IceBox, and I hope there are a lot of Stars fans planning on making the trip up to Omaha on Saturday night. It certainly won't be easy against two red-hot teams in Fargo and Omaha. It should be a great test for the Stars in their quest to stay near the top of the standings and distance themselves from the Waterloo Blackhawks and the Fargo Force. Getting four points would be a huge moral boost, also. I hope you have your tickets already because tonight's game against Fargo at the IceBox is sold out! Got mine, now lets go get two points and just so Skippy the Commish can sleep easy, no fighting boys, no fighting.